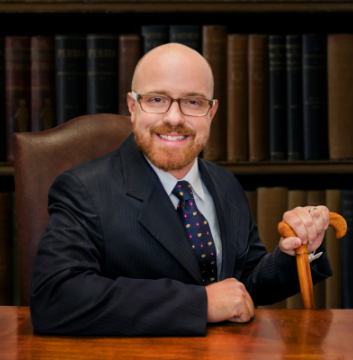 Adam Werner, an associate of Gordon & Doner, P.A., is the lead veteran benefits lawyer for the Injured Veterans legal team representing veterans nationwide in their fight for disability and Social Security disability benefits. He is in charge of The Legal Team that fights to help the men and women with service-related injury and illness get the compensation they’ve earned and deserve. “It’s fulfilling to help people in need, especially those who were willing to risk their lives to maintain our way of life,” Mr. Werner said. A member of the National Organization of Veterans Advocates (NOVA), the American Bar Association and Florida Justice Association, the experienced litigator received his undergraduate degree from the University of Florida and his law degree from Nova Southeastern University. He began his legal career in the State Attorney’s Office, handling criminal prosecutions, prior to going into civil practice. Mr. Werner serves on the boards of the Safe Kids Coalition and the Young Lawyers Association of the Palm Beach County Justice Association. Away from the office, he enjoys spending time with his family, running and competing in triathlons. National Organization of Veterans Advocates, Florida. University of Florida (B.A., 2003), Nova. Once Michael separated from active duty, he received his Bachelor of Arts in Political Science with a focus on International Relations at the University of Central Florida. While attending law school, at The John Marshall Law School in Chicago, he earned both his JD and L.LM in trial advocacy and dispute resolution with honors. Michael knew he wanted to use his law degree to help Veterans get the VA benefits they earned. Michael believes in defending and fighting for all the men and women that served and continue to serve our country. Michael has first hand experience and knowledge with the VA system as a disabled combat veteran fighting for his and other Veteran’s benefits. When not fighting for Veteran’s rights, Michael enjoys spending time with his family and watching his favorite sports teams; UCF Knights, Miami Marlins, Miami Dolphins and the Miami Heat.